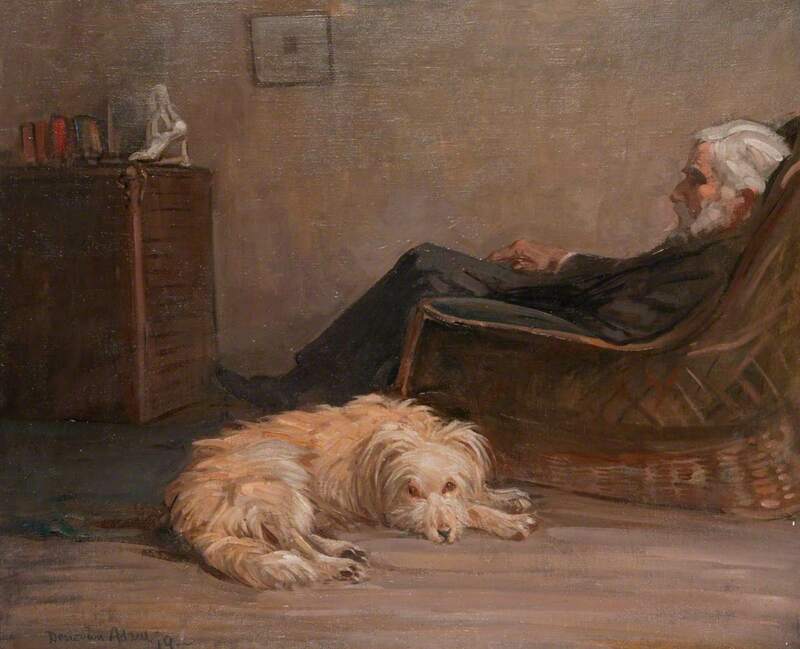 Seated figure with a dog lying at his feet. 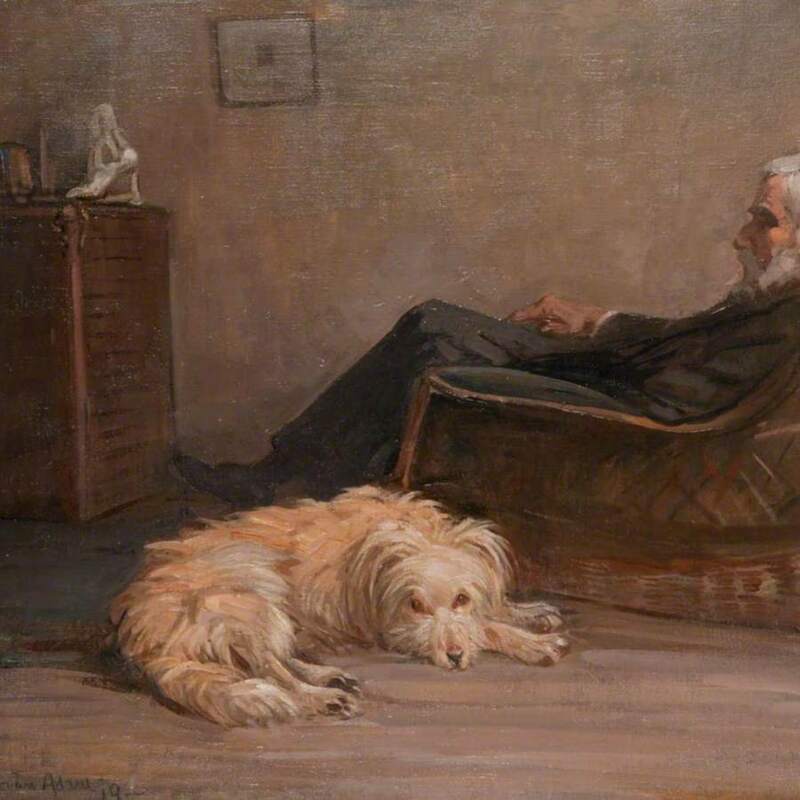 Adam; Joseph Denovan (1842-1896); Artist, RSW, RSA, “The Dog and the Doctor,” Heritage, accessed April 24, 2019, https://heritage.rcpsg.ac.uk/items/show/473. Description: Seated figure with a dog lying at his feet.